For the outdoorsy types and nature lovers alike, camping is always a unique adventure! Being up close with nature and out in elements is one way to feel centered and at peace with nature. Travelling and camping is an enriching opportunity for those with wanderlust. It’s inspired a unique and more comfortable variation, blending nature and tranquility with one more element: luxury! Although the term “glamping” is a new concept (added to the Oxford English Dictionary in 2016), the idea of pitching lavish tents actually dates back all the way to the 16th century when the rich and wealthy travelled but didn’t want to leave behind any of the luxuries from their palaces! Glamping popped up again in the early 1920s when African safaris began to gain popularity among wealthy Brits and Americans. This included travelers who wanted adventure in the wilds of Africa while not leaving behind any of their “modern” luxuries or comforts. Glamping originally arose as an option for those who love big adventures, but who also enjoy the comforts of home. Now, glamping has grown to include electricity, full showers and other modern facilities, and it’s taking the world by storm! New glamping “hotels” have emerged all over Mexico and around the world with a focus on exclusivity, unique ambiance and elegant luxury. This glamping trend is not only inspiring new types of accommodation, but it’s also reaching a handful of luxury resorts. 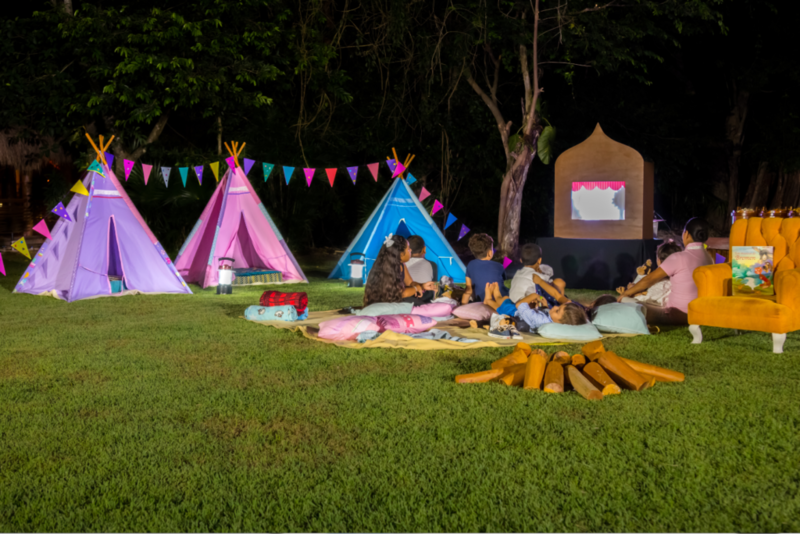 Grand Velas Riviera Maya is one of the luxury resorts that has adopted glamping as an exciting offer for kids who come to visit with their families. The resort fills their lavish green areas with kid-sized luxury tents that look like they popped out of a storybook fairy tale, which of course, the kids adore! 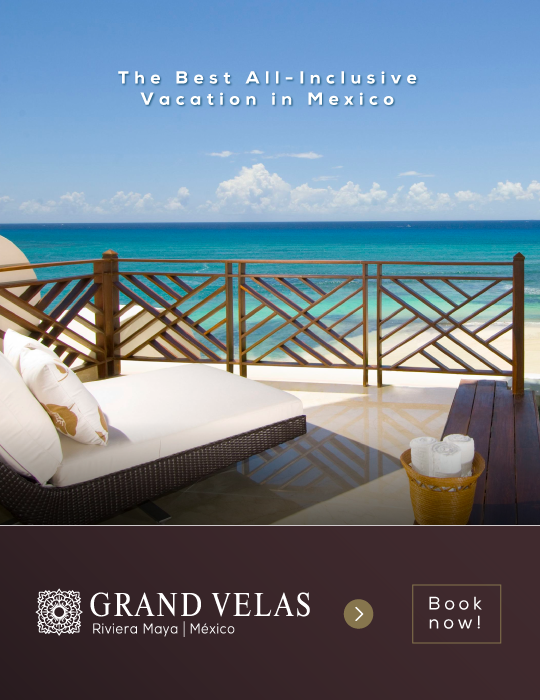 Children get a double vacation in one – an oceanfront family vacation in a Mexican paradise, but they’re also pampered with an exciting evening of glamping and unforgettable memories in a unique experience with the great outdoors. In short, if you (or your kids) are nature lovers and want to enjoy all the charms of camping plus the added luxury of home, you just may want to try this hot new trend!